BB cream has become the number one must-have product in the beauty industry today. This product is a versatile skin care and makeup product in one. It promises to fulfill the roles of six beauty products, namely: primer, moisturizer, skin treatment, sunscreen, concealer, and foundation. It comes in various shades designed for different skin tones. If you are trying to find the best BB cream for African American skin, read on. Specially designed to be the only product you will need after washing your face, BB creams have become an instant sensation throughout the globe. Since its boom in the spring of 2011, stores have been packed with a wide selection of BB creams—from drugstore brands to high-end lines. However, the quest for the best BB cream for African American skin is still ongoing. Finding the best BB cream that matches your skin color can sometimes be a challenge. To help you find the perfect product that meets all of your preferences and goals, we have compiled these top three best BB creams for African American skin that are easily available in the market today. For a smooth and youthful look, we recommend you use this lightweight BB cream. It boasts an HD formula that makes the skin look flawless in photos. L.A Girl Pro BB Cream HD Beauty Balm is also intelligently made to prime and moisturize the skin while providing medium coverage. 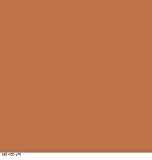 It comes in eight shades ranging from Light, Fair, and Neutral to Light/Medium and Medium to Medium/Deep, Deep, and Dark. It is a fragrance-free product made from paraben-free ingredients that are formulated for sensitive skin. Vitamins B3, C, and E are also added to nourish the skin. This product can easily be the best BB cream on the market today because each tube comes packed with 10 skin-friendly benefits. COVERGIRL Smoothers Lightweight BB Cream provides a natural and youthful radiance along with all-day hydration. It also boasts being packed with ingredients that improve skin elasticity. This product also has a broad spectrum SPF 21 protection. If you have sensitive skin, COVERGIRL Smoothers Lightweight BB Cream can be your best friend. It can be used as an everyday makeup regimen as it is made from lightweight ingredients that won’t clog pores, leaving your skin feeling smooth all day. Get an all-day coverage along with protection from the harmful rays of the sun when you use Rimmel BB Cream 9-in-1 Skin Perfecting Super Make Up. With its SPF 25 protection, you can rest assured that your skin is well taken care of. This product also evens the skin tone and minimizes the appearance of pores. With its matte finish, you can be sure to stay shine-free all day long. Rimmel BB Cream 9-in-1 Skin Perfecting Super Make Up also soothes the skin leaving you with a smooth and silky skin. It also helps in concealing dark circles. This product comes in three colors: Very Light, Medium, and Medium/Dark. Based on all the features and pros & cons of each of these products, we can definitely say that the best BB cream for African American skin is the Rimmel BB Cream 9-in-1 Skin Perfecting Super Make Up. It boasts the highest SPF protection compared to the other two choices. This product is also reliable in concealing dark spots and other problem areas in our face. However, L.A. Girl Pro BB Cream HD Beauty Balm came at a very close second. Because of its wide range of shades to choose from, we also highly recommend checking out this product. You just need to apply your own SPF protection as this beauty product does not contain any. 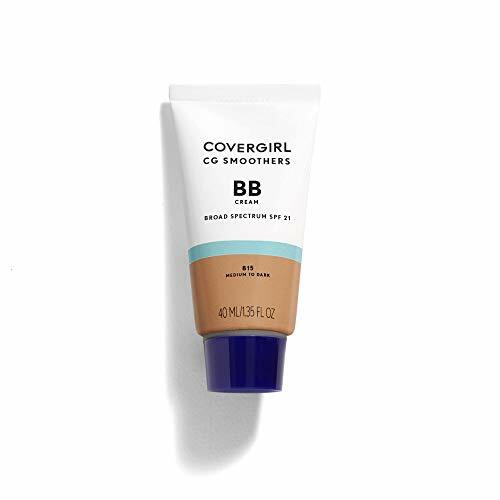 If you are looking for a lightweight BB cream that can be used for your everyday look, COVERGIRL Smoothers Lightweight BB Cream is also worth checking out. With this product, you are protected from the sun’s harmful rays while also keeping your skin hydrated and moisturized. 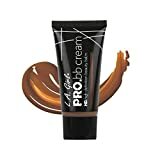 When it comes to BB cream, as with any other makeup product in the market today, it is really a matter of preference that would make or break your decision. Just be sure to conduct thorough research and make it habit to check the labels to know what you are putting on your face and how would it benefit you in the long run.